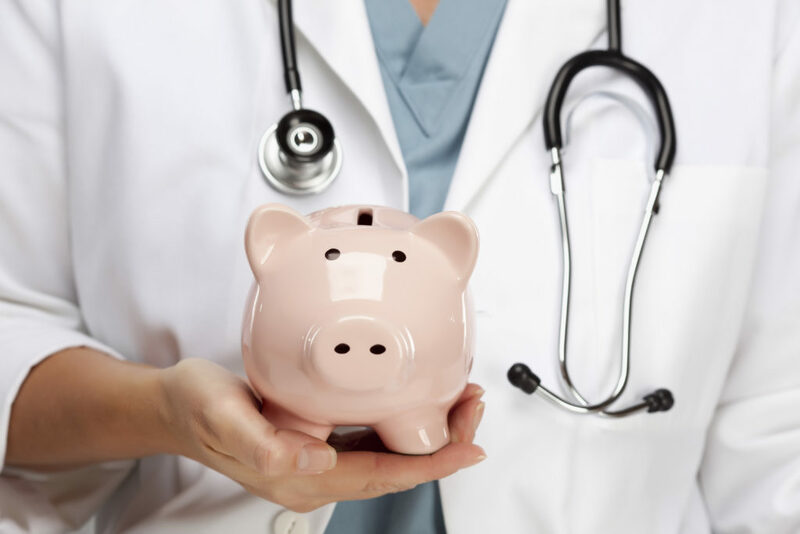 Flexible spending accounts (FSAs) and health savings accounts (HSAs) are both tax-advantaged accounts that allow you to pay for qualifiedmedical expenses using pretax dollars. During open enrollment season for employment benefits,you may have the opportunity to choose between an FSA and an HSA. Understanding the advantages and disadvantages of each type of account is essentialwhen it comes to making the right decision for you and your family. Open enrollment season for health care benefits is coming for many workplaces, and you may soon find yourself trying to determine which selection of benefit sis best for you and your family. You may need to choose between a flexible spending account (FSA) and a health savings account (HSA), both of which are tax-advantaged accounts that allow you to cover qualified medical expenses with pretax dollars. Both types of accounts can provide significant advantages, but it can be difficul to determine which is right for you. This Navigator discusses the difference between the two types of accounts and important considerations in choosing between them. FSAs are the most common savings vehicles offered as part of employee benefit packages. FSAs have no eligibility requirements, but you can only participate in an FSA if your employer offers it as an option. With an FSA, you can set aside up to $2,700 in 2019 (projected) from your income to pay for qualified medical expenses.1 Contributions to FSAs are made from pretax income, and you do not pay taxes on FSA withdrawals if they are used for qualified medical expenses. You choose how much to contribute to the account for the entire year during open enrollment and can only change your contribution level in the case of marriage, divorce, or other major life events. You can withdraw money immediately, even before there is any money in the account, provided you don’t exceed the amount you have chosen to contribute in a year. However, any unused funds remaining at the end of the year are generally forfeited, though some employers will offer a short grace period or small rollover for unused funds. FSAs work well for recurring expenses like eyeglasses, contact lenses, or prescriptions, but you run the risk of needing additional funds for unexpected medical treatment and not having the necessary amount in your FSA. In most cases, you will also leave money in your FSA if you change employers mid-year and you have not spent your entire year-to-date amount. HSAs allow more flexibility both in terms of contribution amounts and when you make qualified medical expenditures. You are eligible for an HSA if you have a high-deductible health plan, which is defined as a plan with a deductible of at least $1,350 for an individual or $2,700 for a family in 2019. In order to qualify for an HSA, the high-deductible plan must be your only health insurance and you cannot be eligible for Medicare. Unlike with an FSA, you can use an HSA if you are self-employed or using an Affordable Care Act plan, as the accounts are not dependent on your employer. Through an HSA, you can save up to $3,500 annually for an individual or $7,000 for a family in 2019, and you can contribute any amount up to the maximum at any time. Many employers also contribute to employee HSA plans, although the amount can vary. Unlike in an FSA, money in an HSA rolls over indefinitely and always belongs to you, regardless of employment status; you can even use it to cover health care expenses after you retire. Additionally, money in an HSA account is invested, so it can grow over time. Using an HSA can provide significant tax benefits: contributions to HSAs come from pretax income, earnings on the HSA account are not taxed, and you will not pay taxes on withdrawals if they are used for qualified medical expenses. If you withdraw money from an HSA for another purpose before age 65, you would have to pay taxes plus a 20% penalty, but after age 65, you would only pay taxes. Some people use HSAs as another retirement account: they contribute to the HSA but continue to pay for their medical expenses out-of-pocket, essentially building a fund for medical expenses in retirement. If you choose not to pay for medical expenses through your HSA at the time they are incurred, you can actually withdraw money to cover those expenses years later. As long as you keep the receipts, you could withdraw money in 2018 to offset an unclaimed medical expense in 2015, provided your HSA was open at the time of the expense. You are unable to take on the extra expenses that come with a high-deductible plan. While you will likely have a lower premium with a high- deductible plan, copayments, coinsurance, and out-of-pocket expenses will likely all be significantly higher than under other insurance plans. If you are uncomfortable with or unable to take on higher exposure to healthcare costs, the HSA is not the right option for you. You do not have room in your budget for additional savings into an HSA. HSAs only provide a benefit if you are able to save into the account to offset the higher out-of-pocket costs of the high-deductible plan. If you choose a high- deductible plan and do not take advantage of the savings opportunity, you will be considerably worse off than you would in a more standard insurance plan. You are able to accurately predict your annual medical expenditures in advance. If you can reliably plan for medical expenses in a given year, an FSA may be a better option for you. In most cases, you cannot have both an FSA and an HSA, so it is important to make a well-researched choice of savings vehicle. Both FSAs and HSAs offer significant benefits when used correctly, and both should be considered during your open enrollment elections. 1 Medical expenses are defined as the costs of diagnosis, cure, mitigation, treatment, or prevention of disease. The IRS has complete guidance on what constitutes a qualified medical expense. This article is prepared by Pekin Singer Strauss Asset Management (“Pekin Singer”) for informational purposes only and is not intended as an offer or solicitation for business. The information and data in this article does not constitute legal, tax, accounting, investment or other professional advice. The views expressed are those of the author(s) as of the date of publication of this report, and are subject to change at any time due to changes in market or economic conditions. Pekin Singer cannot assure that the strategies discussed herein will outperform any other investment strategy in the future, there are no assurances that any predicted results will actually occur.